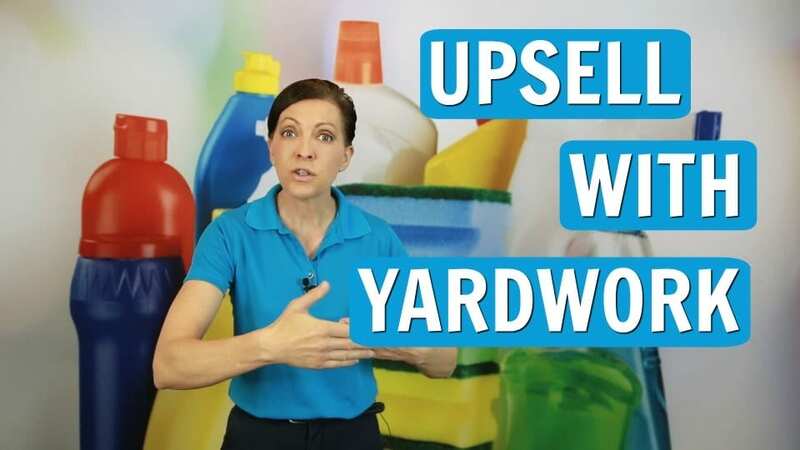 Question: Is it a Good Idea to Upsell Yardwork? Today’s question comes from a client who wrote into our show and she says “Ang, in your training you’ve talked a lot about upselling your services to make extra money during slow months. I like this question because as a kid you’re going to grow up in an environment that has a specific set of skills that’s intrinsic to your family. In my family my Dad was a gardener, he was a farmer. He always had a greenhouse, he has a green thumb. And as long as I’ve known my Dad he’s been creating hybrids of plants and berries and different things that all involve gardening and weeding and, growing plants. And so, I picked up on a lot of that just by hanging out with my Dad and spending time with my Dad growing up. Do You Have Outdoor Skills Like Landscaping, Gardening or Yardwork? And so, I have a very specific set of skills in the gardening landscape arena that has nothing to do with house cleaning. It’s just something that I kind of grew up with and I picked up on. And so, as I’ve grown my business I’ve worked in my own neighborhood. And I’m kind of like; “Me. I do it myself.” And it’s fun for me. It’s kind of a hobby, it’s not a business. Now, I don’t have a landscaping truck. I don’t have a riding lawn mower tractor or trailer that I can ride my lawnmower up on. I’m not equipped to do that. I don’t I don’t focus on that. That’s not part of my business. But I certainly can throw a rake or a snow shovel in the back of my car. And I could go help out somebody with some simple services. 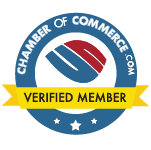 There was a time in my cleaning career where I did lots of special projects for clients. And one of those was pulling weeds. 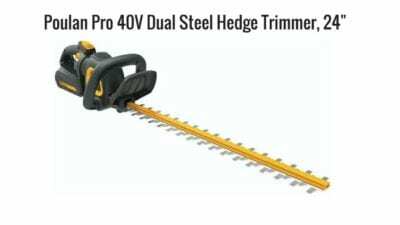 And I did trimming of hedges because I’ve got a hedge trimmer. 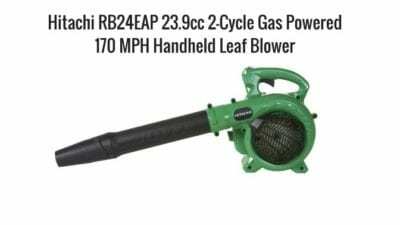 I always have carried a gas blower with me so that I can blow off patios and sunrooms and stuff like that. So there are some outside tasks that I do, do. And I include that as part of a package that I sell to my customers. It’s not routine cleaning. It is an upsell. There is a girl that I know that is out in Oregon and every year they get five months of snow. And the snow is really high. And so, as it starts snowing and it dumps 24″ and 42″ inches of snow, none of the customers can get out of their houses. And so, she has a whole team of people and they go out and they shovel people’s driveways and walkways instead of house cleaning. And the truth is she doesn’t want to be there cleaning when the whole family is home from school and the whole family is inside making a mess. So, they switch gears and they upsell their services. And they all grab snow shovels and go shovel people’s snow for the same price that she charges for house cleaning. And she is not cheap. She’s a very expensive house cleaner. But you know what? People need that service done. And she shows up literally with rakes and a bag of garbage bags. And she and her team go around and there will be 10 people and they’ll clean up somebody’s yard. And they’ll rake up all the leaves, and they leave 26 bags of leaves out there on the curb for the garbage service to come pick up. And the people are more than happy to pay her expensive fee because that’s a service they don’t have and need. You too can upsell. 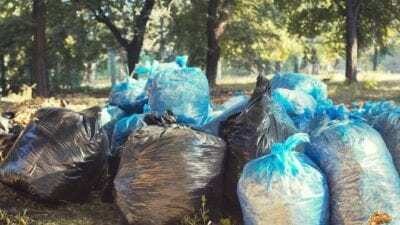 All you need is a rake and some garbage bags. That’s not an expensive addition to your business. If you want to upsell yardwork and leaf pickup services, start selling that in May and June. Because right now the customers don’t need it. When they cancel a cleaning in the fall, reroute them to the leaf pick up. You’ve already got this on the schedule. “Great. You don’t need house cleaning this week, we’re coming by to do the yard. We’re coming by to pick up the snow, and they sell these services far in advance. And so, in addition to that, during the spring you could also do weeding. It doesn’t cost anything to pull weeds. You don’t you don’t need any special supplies. You literally grab a bucket and you go out there and you pull the weeds. 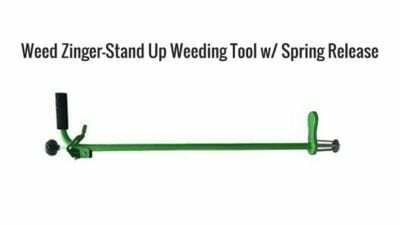 If you don’t like to bend over or touch the weeds, there’s a little tool that I have called a Weed Zinger where are you just poke it in the ground and you twist it around and it pulls out the weed for you, and then you pop it in a little bucket. Bam! You’re done. And if you charge $25, $35, $45, $55 I don’t know what the going rate is in your market but if you’re charging $55 bucks an hour to pull weeds that’s pretty good money. That’s pretty good money but that’s something most people don’t want to do. And so, if you’re going to upsell your services, find something that you’re good at number one, that has a really low overhead. Pulling weeds is really low overhead. Raking leaves is a project with really low overhead. 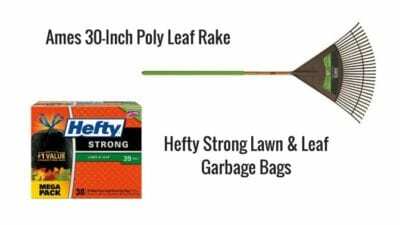 You have to invest in a rake and you’re going to buy some garbage bags. 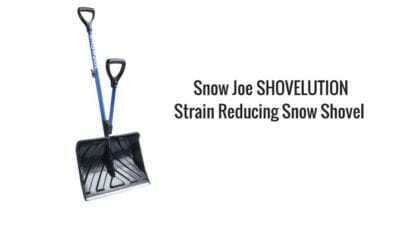 If you shovel snow, you’ve got to invest in a snow shovel. And a good one is going to cost you fifteen to thirty-five bucks. But once you own it, you own it for the rest of your career. So this is a one-time investment and then you go out and shovel the walks every single winter. Because if you live in a place like Oregon or Montana or Utah there’s snow every year that’s a given. Every single year. So if you have a slow month and people are not purchasing your services, or they are snowed or sick so they cancel – you can go straight to plan B. Sell them something else, because there’s probably something else that they’re willing to pay for. If this was helpful, leave a message in the review section below or hit reply and let me know one takeaway you gained from our time together today because I’m curious. And that helps me provide better information for you on our continued shows. And until we meet again, leave the world a cleaner place than when you found it.